Ensure that your pool is always in ready for swimmers by hiring our team. As your trusted pool maintenance and repair crew, our job is to keep your pool clean and healthy for swimmers. Whether it is a family pool in your backyard or a communal pool in an apartment complex or hotel, our team will keep your pool in its best condition. Get 1-month free pool service when you sign up for 1 year! 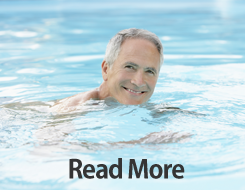 Our founder, David, has 10 years of experience in the pool maintenance industry. In 2008, he became CPO Certified by The National Swimming Pool Foundation™ (NSPF) as wll as becoming an instructor for the certification course. His passion for the business drove him to work hard and begin his own company, Fusion Pool Service. Unlike most pool companies, we use enzymes along with other commercial-grade chemicals to make sure your pool is in the best shape it could be in. Keeping up with your pool will be a breeze when setting a schedule for us to maintain your pool for you. Most of our services are focused within the Northern San Antonio, Texas, region. Our pool maintenance company is customer focused and provides the best maintenance available so we can always keep our clients 100% satisfaction. We work hard to provide prompt, on-time service and to get the job completed right and in a timely manner.